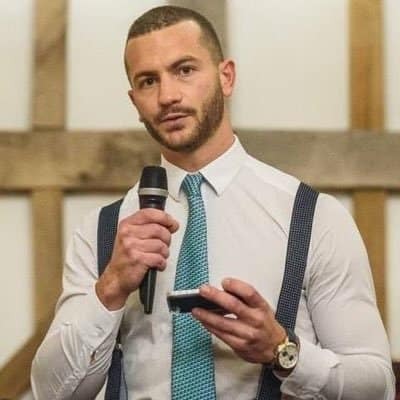 In today’s interview, I get to speak with co-founder of Nutrita and neuroscientist, Raphael Sirtoli, about his new venture – the world’s first low-carb/keto food search engine. Raphael is very passionate about helping people get access to meaningful, relevant information that can be applied in an actionable way. The internet is flooded with all kinds of food nutrition information. However, that means that sometimes getting to the simple answers quickly can be challenging. Even with his background in science, Raphael found he grew increasingly frustrated when trying to make sense of all the data on what we should be eating. So, along with his colleagues, he came up with a solution – Nutrita – a science-based food search engine with simple rating systems that are relevant for people looking for nutrient dense keto/low-carb food options that don’t spike their insulin needs. Today we get a chance to talk about how Nutrita’s rating systems works and how we can use it to get simple advice or delve deeper into the nitty-gritty to further fine tune our diets based on personal goals. If you know someone who is interested in learning more about how Nutrita can help them make sense of all the food data using simple meaningful scores, this interview is for them. I really enjoyed this interview with Raphael and am excited about using Nutrita when looking for the vitamin and mineral info on different types of food and if they are keto-friendly or not. Special thanks to Raphael for joining me on the show. Enjoy the episode! To find out more follow Raphael on Twitter or visit the Nutrita website, Twitter or Facebook accounts. [00:19] – Introducing, Raphael (Raphi) Sirtoli. Raphi has an MSc in molecular biology and is a PhD candidate in neuroscience. He is also a co-founder of Nutrita: the world’s first low-carb and keto food search engine, which got featured on Product Hunt. [01:42] – Raphi decided to create a food search engine after being frustrated with the options available. Nutrita attempts to deliver a food search engine that provides meaningful information and relevant scores for keto/low-carb diets. [04:14] – There are both broad numbers/scores as well as fine details available. 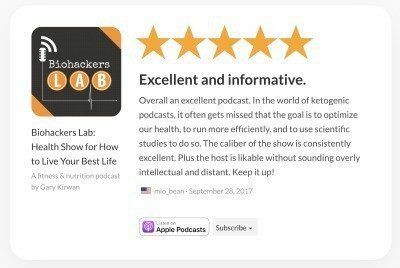 The focus was on clarity and a simple scoring system (the keto score, nutrient density score and insulin index) to provide people with a quick reference guide. [06:17] – The next step is to help people make smart choices in terms of nutrition in addition to clearing up the question of ketogenic friendly food. [08:00] – How does the nutrient density score work? There is a scale ranging from 1-10 which determines how capable it is of meeting all our nutritional needs on its own. It considers essential fatty acids, essential amino-acids, vitamins and minerals (as well as ratios of these). [11:16] – Some foods that rate highly on nutrient density scales include eggs (9/10) and liver (9/10). Nutrient dense foods are a good place to start. People can get into the nuances from there and topping up on other things as necessary. [12:57] – The search engine goes beyond calculating macros, it scores the food. However, there is also a macro calculator available that complements this. Raphi explains how people often get stuck focusing on minutia and get confused about what is really important. How does Nutrita help? [18:18] – The first version of the Nutrita macro calculator gives people guidance on recipes that fit the personal goals they provided. The calculator also works by providing protein/fat/carbs targets in terms of the quantity of food that will meet it, e.g. 2 eggs. [21:03] – The calculator tries to remain as impartial as possible in terms of different diets people are on. Raphi believes an interesting questions will be raised about the validity of recommended daily guidelines in terms of nutrient intake and what is essential. [23:20] – Raphi explains that the Nutrita advice is based on published literature and clinical evidence. However, he believes that currently nobody knows what the optimal diet is. [25:08] – Was data easy to come by? Raphi was surprised about how poor the quality of data was for food databases. He explains their approach was to gather as many publicly available databases and eliminate bad data; what’s more, this is an ongoing project. [28:41] – Raphi explains that due to impartiality and in terms of fulfilling legal obligations there are some things the food industry has to rely on third parties to test. Often only one part of the equation is looked at, in an overly simplified manner. Nutrita focuses on intake and use equation. [31:26] – Raphi explains how the insulin index is calculated. Because they had the benefit of larger databases, Nutrita refined their index so it is more accurate than the original index that is out there at the moment and will continue to refine it further. [35:31] – How does the glycemic index (GI index) compare to the insulin index? Raphi explains that the GI index gives you an estimate of what might raise blood sugar but does not address insulin which is a better marker to use. [37:30] – While there is some overlap with the GI index and the insulin index, the GI index doesn’t always get it right. This is very important for diabetics and can make a huge difference. [40:25] – It will be an interesting learning experience and might challenge some expectations. Raphi explains how some foods for example have a good ketogenic rating, but score unexpectedly high on the insulin index. This is one reason the scores are shown together. [42:12] – Surprising examples of a food that has a high ketogenic rating, but a bad insulin score are rib-eyes and oysters. We need to realise how complex food and nutrition really is. [46:54] – Nutrita’s calculator and food search engine will be available in a web app released in about two months time. Raphi hopes this will give people more information and inspire them. [47:39] – To follow Raphi you can find him on Twitter: @raphaels7. You can also visit the Nutrita website: nutrita.app, the Twitter: @Nutrita_app or the Nutrita Facebook Page and Group where they discuss papers and offer advice.